Located in Upper Lynn Valley North Vancouver, an outdoor enthusiast destination, our home provides front-door access to miles of running, hiking and mountain biking trails. When the urban experience draws you to downtown Vancouver, public transit is just steps away. 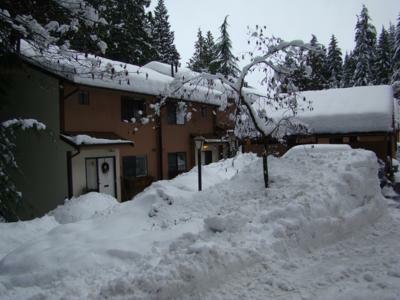 If Whistler is your destination, Highway #1 is also easily accessible. Points of interest all within 15 minutes by car are beautiful Stanley Park, thrilling Capilano Suspension Bridge, and three local ski mountains Grouse, Seymour, and the Olympic Venue Cypress Mountain. 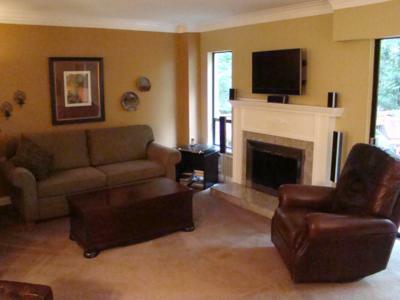 Nestled high on Fromme Mountain, our quiet end unit townhouse provides the ideal nature and neighbourhood setting for those wanting a forest retreat experience. 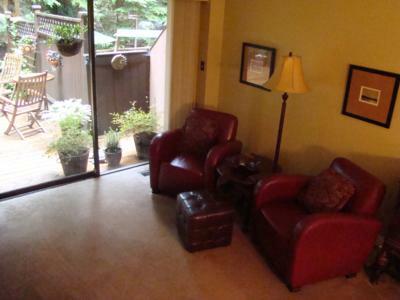 With 1800 square feet of living space, a small family or group will have plenty of room. 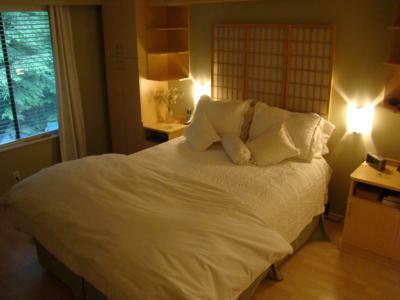 Sleeping up to 6 people in 3 bedrooms, you are guaranteed a good nights sleep. Cant sleep? There's a TV in every bedroom. 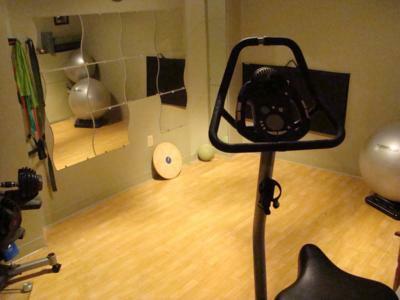 Early to rise, you have a gym to yourself if yoga, light weights and an exercise bike meets your indoor gym needs. 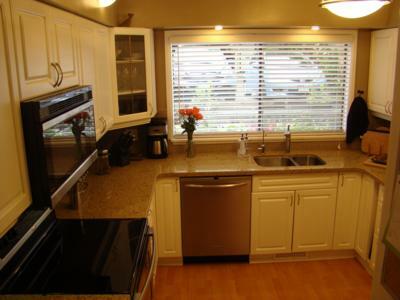 An upgraded urban chic kitchen with all the conveniences keeps you eating well. If cooking is not your thing, Lynn Valley Centre has a well rounded offering for your shopping and dining needs and is located close by. The living area features a wall mounted LCD panel TV, home theatre system and a gas fireplace to keep you cozy and comfortable. 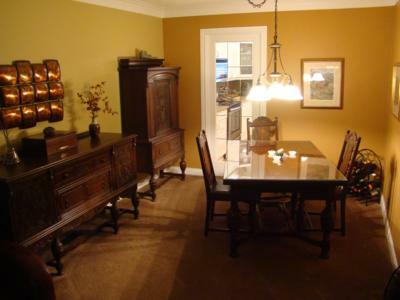 A separate dining area provides a formal setting that seats six. Bathrooms are located on all three floors with a special spa-like feel to each one. When you feel the need to connect with friends, family or work, you can use our office equipped with high speed internet, printer, and photocopier. If the weather is mild, enjoy a BBQ on our very private 400 square foot deck. Combining the beauty of nature with quick, easy accessibility to the city, you have the best of both worlds right here. 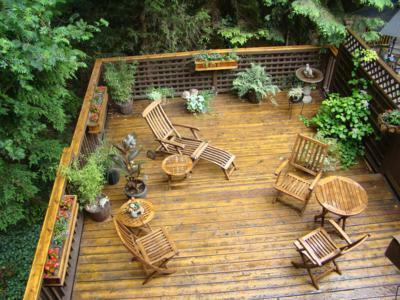 Choose this North Vancouver townhome as your secret getaway while you take in the 2010 Olympic experience in the beautiful City of Vancouver, British Columbia.